Looking for a multifunctional jacket for your next hike? The Ultimate V SO Hooded Jacket Men offers everything you need for changeable mountain weather. 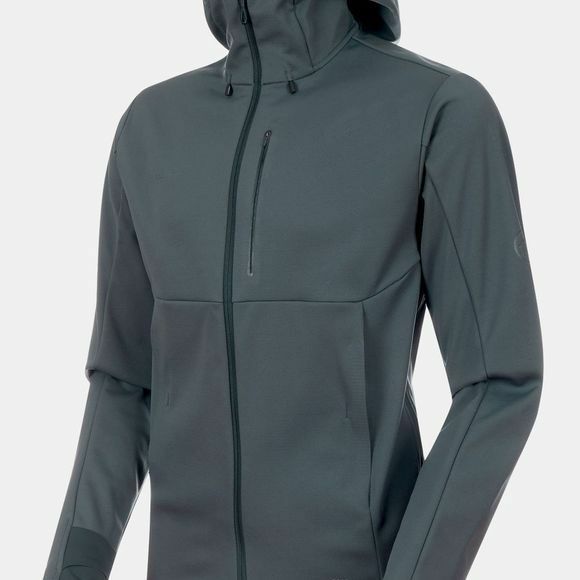 Suitable for year-round use and developed exclusively with GORE, the PFC-free 3-layer GORE WINDSTOPPER material makes this soft shell jacket completely windproof to protect you from cold gusts. You can also hide behind wind and chin protection. A DWR treatment on the outer material gives the jacket water-repellent properties and resistance to rain and damp conditions. 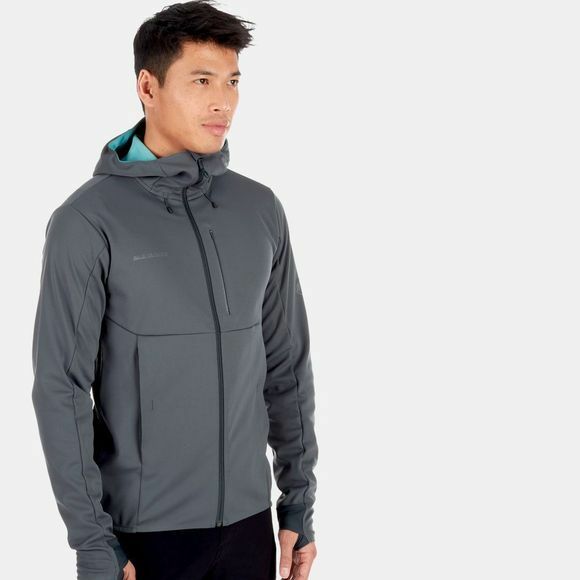 The jacket also features a membrane for added breathability, protecting you from chilling after a strenuous section of your hike while at the same time avoiding any build-up of heat under your clothes. The lightweight backing with an open 3D structure provides optimal moisture-wicking, thanks to a wicking finish that absorbs moisture from the skin and speeds up the drying process. A whole range of features to ensure you're fully prepared for your next hike in wind and weather!